When a nasal disorder takes hold, congestion, nasal drainage, and pressure around your nose and eyes make you miserable. For some, the temporary misery becomes chronic. Dr. Kathy Yu-Syken, at OCEANN, specializes in relieving your symptoms and treating all nasal disorders, especially chronic sinusitis. To learn more about how to get long-lasting relief, call the office in Huntington Beach, California, or book an appointment online. What are the most common nasal disorders? You have eight sinuses — air-filled spaces that surround the nasal cavity — with direct access to your nasal cavity. Each is lined with membranes that produce mucus, which drains into your nose through a small opening. Sinusitis develops when the sinus lining becomes inflamed and swollen. As the swelling blocks the opening into your nose, mucus gets stuck in the sinus, and an infection develops. When the problem lasts longer than 12 weeks, it’s considered chronic sinusitis. How is chronic sinusitis treated? Your initial treatment focuses on reducing inflammation, draining your sinuses and nasal passages, and treating the underlying cause. 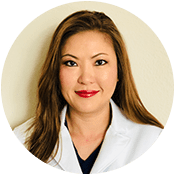 Dr. Yu-Syken may prescribe nasal irrigation, nasal spray, or other medications. If you have allergies, she may provide immunotherapy. When conservative treatment doesn’t relieve your symptoms, long-lasting relief is available through in-office sinus balloon dilation. Dr. Yu-Syken specializes in balloon dilation, which is minimally invasive, so no incisions are needed. Balloon dilation is performed in the office using a local anesthetic. During the procedure, the doctor uses a specialized medical device that’s narrow, holds a small balloon, and easily travels through your nose to the opening of blocked sinuses. At the sinus opening, Dr. Yu-Syken inflates the balloon. The balloon stays attached to the medical device and stays inflated for only about five seconds. Pressure from the balloon opens the blocked sinus and gently restructures the passageway, so it stays open after the balloon deflates and gets removed. In-office sinus balloon dilation restores your ability to breathe easily, and your results last about two years. Relief is available for patients suffering from chronic sinusitis — call Oceann ENT or book an appointment online.